Viviane Romeiro is the Climate Manager at WRI Brasil. Viviane has a Ph.D. degree in Energy from the University of Sao Paulo (USP), in Brazil, and has completed a Ph.D. exchange program on Public Policy at the University of Maryland (UMD), in the United States. She holds an M.S. in Energy Planning and a B.S. in Law, and speaks Portuguese, English, Spanish and some French. 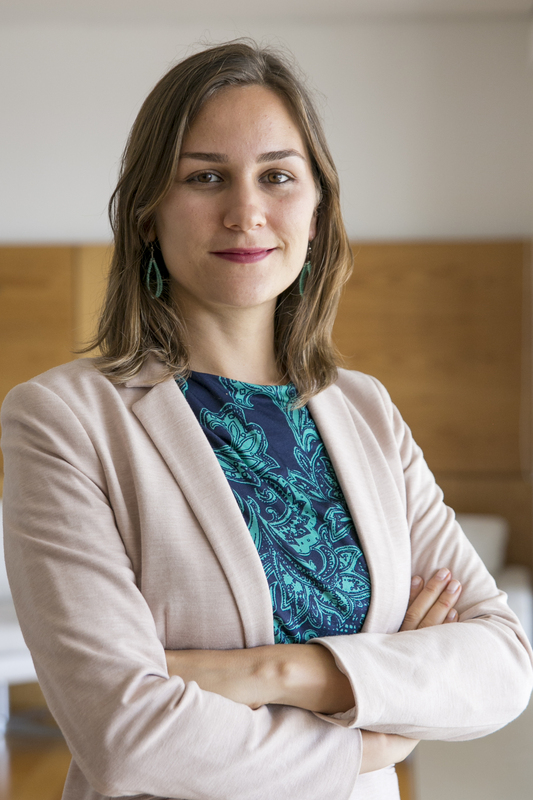 Prior to joining WRI, Viviane developed collaborative work on climate policy for the Brazilian Ministry of Science, Technology and Innovation (MCTi), the Ministry of the Environment (MMA), and the Center for Strategic Studies and Management (CGEE). She has also supported the work of the Carbon Emission Policy and Regulation Group (NUPPREC) at the University of Sao Paulo. Her academic and professional work is focused on environmental law, greenhouse gas emissions policy and regulation, and international and national climate policies in Brazil. As one of the world's largest emitters and a growing economy, Brazil has the potential to act as a global leader for nations transitioning to low-carbon economies. Such leadership must be viewed beyond geopolitical status; it is a strategy that will reward countries with social, economic and environmental gains. Mato Grosso do Sul, Brazil's sixth-largest state and a major agricultural producer, recently committed to go carbon-neutral. The initiative will help the country meet its national and international goals to reduce its overall emissions 37 percent below 2005 levels by 2025. This week Brazil formally submitted its climate plan, also known as its Intended Nationally Determined Contribution (INDC). The country’s INDC comes on the heels of joint climate change declarations it’s made in recent months with China, Germany and the United States, showing that the country is committed to a creating a successful international climate agreement in Paris later this year. Brazil, the world’s seventh-biggest greenhouse gas emitter, has the relevant tools and policies it needs to become a leader in the fight to deal with climate change. This opportunity comes at a pivotal time for Brazil: its national climate plan—its Intended Nationally Determined Contribution (INDC)—should be submitted within days as part of global climate negotiations, while a national economic crisis, drought and energy uncertainty inform Brazil’s decisions at home. Como o sétimo maior emissor de gases do efeito estufa, o Brasil tem as ferramentas e políticas necessárias para assumir a liderança no combate contra as mudanças climáticas. Esta oportunidade chega em um momento crucial para o país: seu plano nacional do clima - Contribuições Pretendidas Nacionalmente Determinadas (INDC, da sigla em inglês) – deve ser apresentado daqui há alguns dias como parte das negociações climáticas globais, quando uma crise econômica, seca e incerteza energética afetam suas decisões domésticas. The joint statement goes beyond research and development and embraces an unprecedented accord on climate targets, where both countries committed to increase their share of renewables by 20 percent by 2030. This report reviews a range of modelling scenarios for future GHG emissions, identifies opportunities and recommends lines of action to harmonize energy policy objectives with climate goals that meet the needs for a limited global carbon budget.